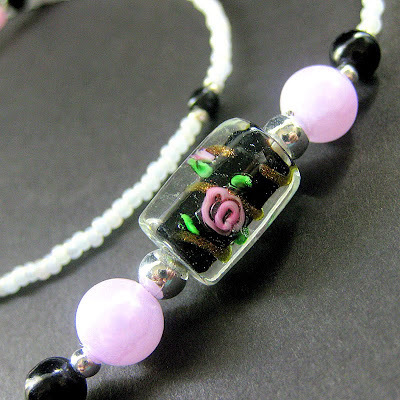 The roses within these lampwork beads are gorgeous. When I originally made the Midnight Roses badge lanyard, I'd made it with some similar beads that were round with little roses inside the globes but when I found these lampwork column beads, I found something so much more perfect for the design that I switched over to making it with these instead. 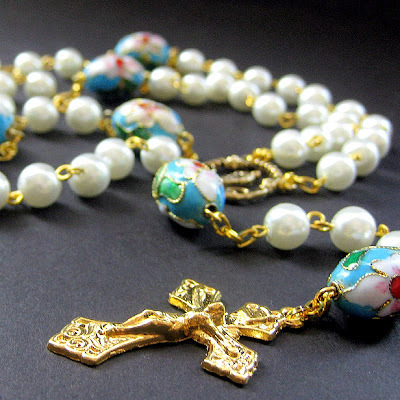 I think it gives a far more unique look to than the round beads I'd been using previously. 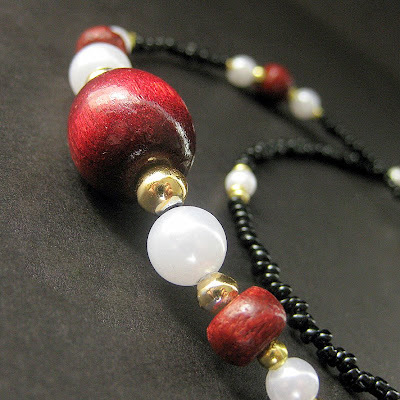 Perfect for holding a badge, keys and more; like all of the badge lanyards that I create, nape of the strand is created to be comfortable against the back of the neck with the decorative beads further down along the strand so they are shown off to their best advantage. 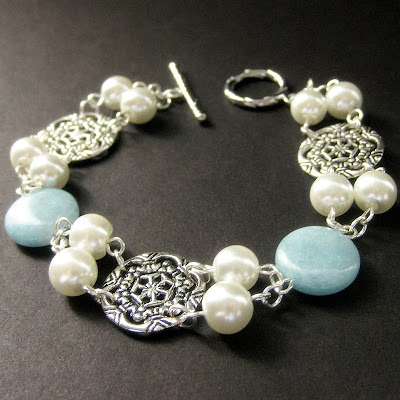 This piece is made with a sturdy no-clasp design for added security so that it can just be tossed over the wearer's head and they're ready to go! 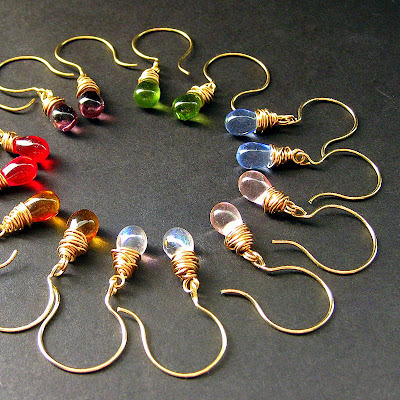 These glass teardrop earrings are made with tiny transparent glass teardrop briolettes in seven different colors that have all been carefully and securely wrapped with gold filled wire then set to dangle on delicate matching gold-filled hooks. I designed the hooks by hand for a unique and graceful shape instead of using commercially made hooks. Each pair of earrings in this set is 1.2-inch (3.3cm) in length and are made with care to be light-weight on pierced ears and easy to wear. In fact, I liked them so much I'm thinking of making a set to keep for myself as well!